North Sea crude oil shuttle tanker; 43,961 grt; 78,943 dwt. Operator: Mobil Shipping Co Ltd, London. Flag: British. Built: 1964 by Bremer Vulkan AG, Bremen-Vegesack, Germany. Yard no 914. Machinery: two Bremer Vulkan steam turbines of 18,000 shp (total). Speed: 16.25 knots. Built as MOBIL VALIANT (British flag). 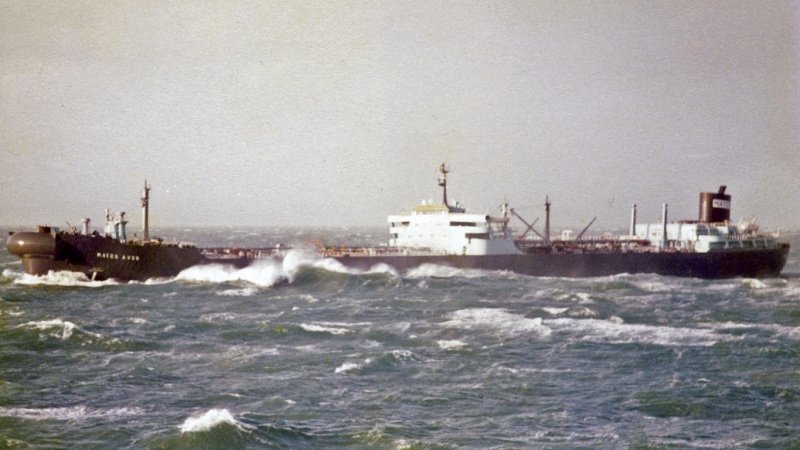 1975-converted to become the pioneer North Sea shuttle tanker MATCO AVON, for loading from the SBM in the Beryl oilfield. 1993-renamed AVON for last voyage, to breakers at Gadani Beach, arriving 13/1/1994. Photographed in 1982 heading for the Mobil refinery at Coryton, in the Thames Estuary.